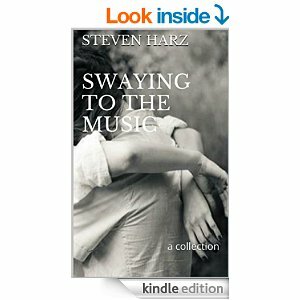 My book, “Swaying to the Music” is on sale this weekend for only 99 cents! In his third collection, award-winning writer Steven Harz once again connects readers to stories containing emotions with which we can all connect. In “Swaying To The Music” he covers themes of loves lost and found as well as rebirth of life and coping with death. Appearing regularly in ‘The Iron Writer Challenge” and “The Germ” Steven’s works continue to force laughter and tears, often simultaneously.